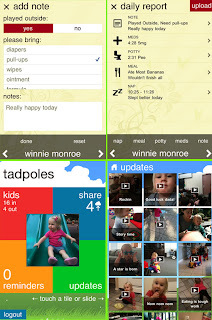 Childcare management apps Tadpoles and Tapoles Pro are updated, and now available in the app store. 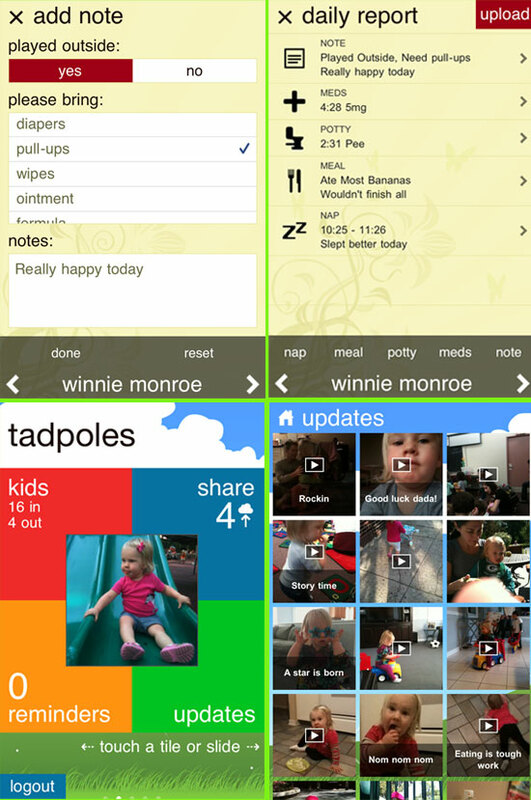 It seems like just yesterday that we updated the Tadpoles and Tadpoles Pro apps with daily reports, but we’re constantly looking for new ways to improve in order to make teachers and parents have an easier, more organized life. Learn what other parents are saying here. iPads: Is Kindergarten too Early? Do Men Change After Becoming Fathers? Tips from Teachers… for Parents!